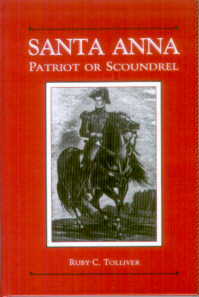 Santa Anna may have been the villain in the war for Texas Independence, but this readable book tells the amazing story of his life before, and long after, San Jacinto. Author of novels for children and young adults, Ruby Tolliver, has a particular interest in history. Her novel, Muddy Banks, about the Civil War battle of Sabine Pass in Texas, has been a prize winner. 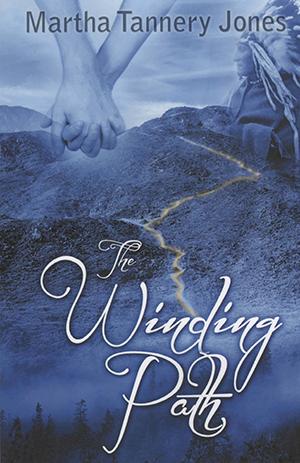 Some of her other outstanding historical novels are Blind Bess, Buddy, and ME; Have Gun, Need Bullets; and Boomer's Kids. Ms. Tolliver and her husband, a retired engineer, live in Conroe, Texas. They have two daughters, one son, and seven grandchildren. When not writing, Ms. Tolliver is involved in church activities and in being a grandmother.